Saturday marked the Lunar New Year, the most important date in the Chinese calendar. It’s also the start of the longest holiday at two weeks, during which the largest mass migration of humans occurs every year as families reunite and go on vacations, both domestic and overseas. 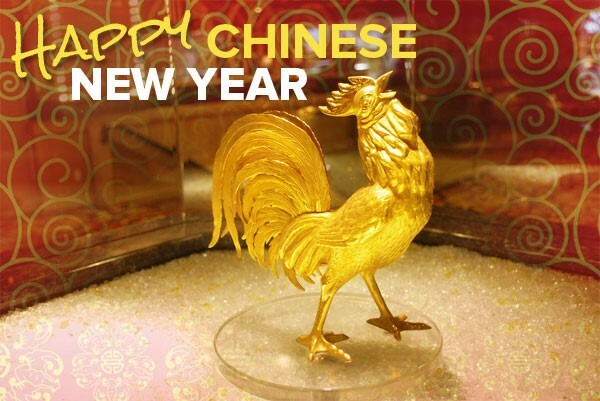 2017 is the year of the 10th Chinese zodiac, the fire rooster, one of whose lucky colors is gold. Year-to-date, gold—the metal, not the color—is up 3.5 percent, which is below the 5.7 percent it had gained so far around this time last year. Unfortunately, gold prices won’t find support from Chinese traders this week, as markets will be closed in observance of the new year. If you remember, the yellow metal had one of its worst one-day slumps of 2016 back in October during China’s Golden Week, when markets were similarly closed. America’s economic condition is truly a “tale of two cities.” Upper middle class and wealthy earners have never been more flush thanks in large part to the record liquidity creation of the last eight years as well as to their financial market exposure.